My dates for the trip were Lisa Marie with Sweet Tea Photography and Tabitha Roberts of Robers & Co. 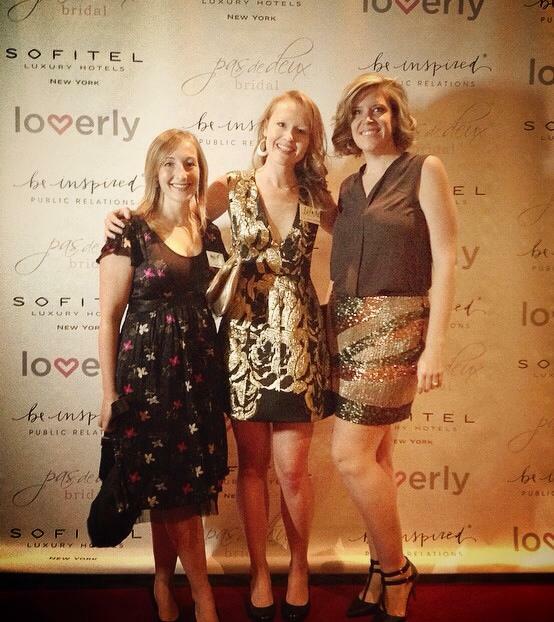 It was wonderful to see wedding industry friends at the Be Inspired PR party, including Engaging Affairs, Karson Butler Events, Intrigue Design & Decor. We loved the Bubbly Bar! And I got to meet Austin Scarlett, among the other star sighting including Desiree and Andi from the Bachelorette and the infamous Sylvia Weinstock! Guests at the Martha Stewart Party got the full pampering treatment, including make-up applications via Bobbi Brown cosmetics. Guests were able to instagram the action and then get live prints! Wedding Paper Diva’s was there with a paper bar; guests were able to go down the line to pick-up some of their new thank you notes. The cocktail tables included lovely florals to inspire.